Born to Lyn and Bob Irwin in Essendon, a suburb of Melbourne, Victoria, Irwin moved with his parents as a child to Queensland in 1970. Irwin described his father as a wildlife expert interested in herpetology whilst his mother Lyn was a wildlife rehabilitator. 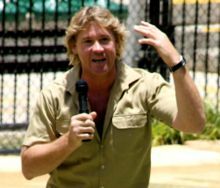 After moving to Queensland, Bob and Lyn Irwin started the small Queensland Reptile and Fauna Park, where Steve grew up around crocodiles and other reptiles. Irwin became involved with the park in a number of ways, including taking part in daily animal feeding, as well as care and maintenance activities. where he became a crocodile trapper, removing crocodiles from populated areas where they were considered a danger. He performed the service for free with the quid pro quo that he be allowed to keep them for the park. Crocodiles that he caught were sent down to the family zoo. He stayed in North Queensland for around five years. 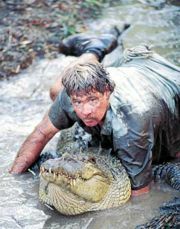 Irwin followed in his father’s footsteps, becoming a volunteer for the Queensland Government’s East Coast Crocodile Management program.